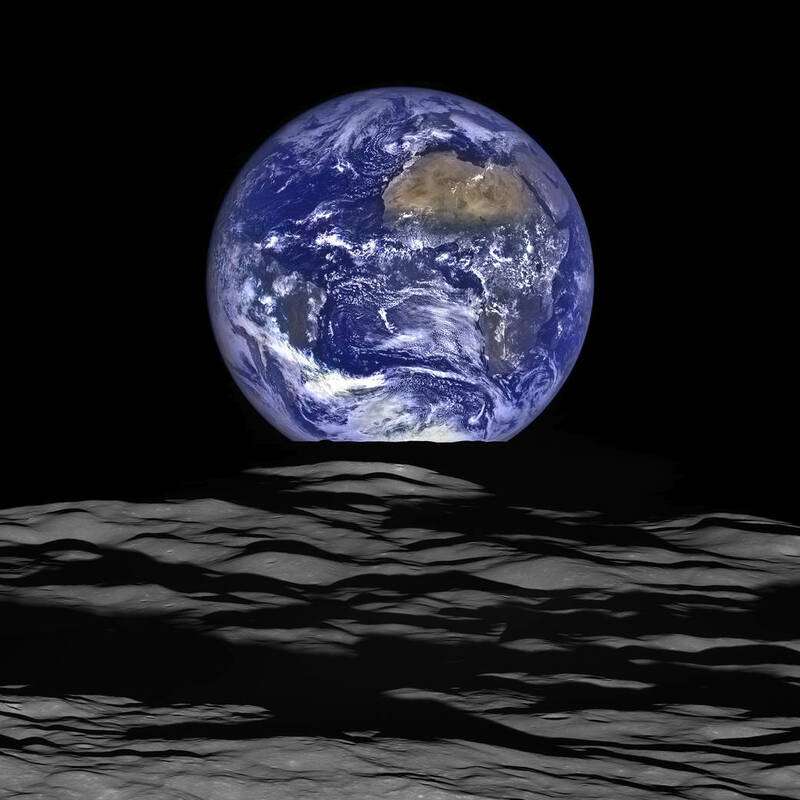 NASA just released a new image of the Earthrise, and to be honest, it is simply remarkable. In the image, we can see Earth as it appears to silently rise over the dusty surface of our Moon. The continent of Africa is prominently displayed in the central region, and the vast, brown sands of the Sahara Desert can be seen spreading out across much of the landmass. Turning to the Moon, we get a small glimpse of the Compton crater, which is located just beyond the eastern limb of the Moon on the lunar farside. The image was captured by the Lunar Reconnaissance Orbiter (LRO) as the spacecraft orbited around the Moon on October 12th of this year. NASA just released the composite yesterday (December 18th). In order to capture the shot, the craft had to be rotated in a very specific position to ensure that its camera was in the correct location and that the Earth and Moon would each appear correctly—it the craft had to keep the correct position while traveling more than 5,600 km/h (3,500 mph) relative to the lunar surface. 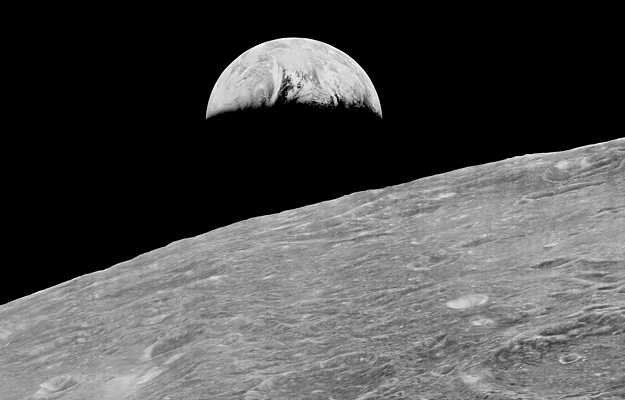 NASA’s first Earthrise image was taken with the Lunar Orbiter 1 spacecraft back in 1966, almost 50 years ago. Many images have since been taken of our closest neighbor. Case in point, between 1966 and 1967 NASA sent a staggering five Lunar Orbiter spacecraft to the Moon. Images from these spacecraft were ultimately used by mission planners to select the Apollo landing sites on the moon. Below is a restored version of the image from the Lunar Orbiter Image Recovery Project. You can the original image and more info about that project here.